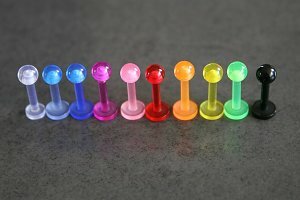 You are spoilt for choice with the Marble Cone Acrylic Labret. 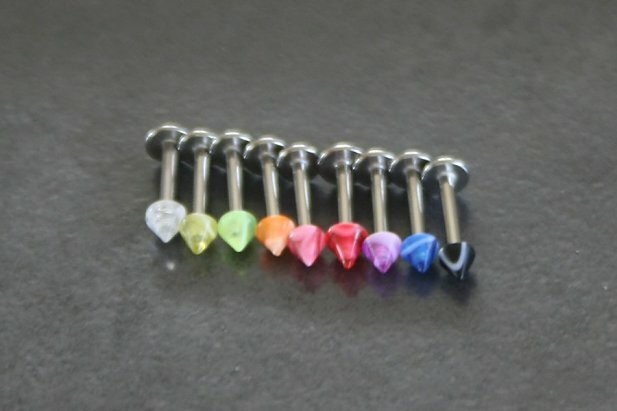 Each labret has an acrylic marble cone end. 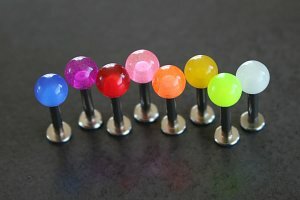 Available in eight (8) colours to choose from, there is one to suit your personal style. Crafted entirely in Surgical Stainless Steel finished with an Acrylic Cone. 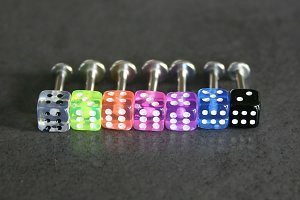 "great product, comfy fit :)"
"I wrote a review , but I love this site I even though I was really inpatient (sorry) my piercings showed up on time and the customer support was really helpful and effective ! 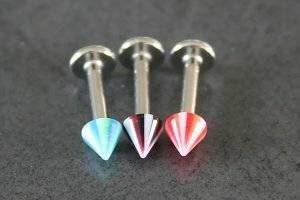 I definitly plan on buying more products, and I got exactly what I wanted at a really good price I won't be spending 30$ on just one piercing ever again thanks purely piercings :)))"
"This piercing was awesome! i loved the colour and the style. It looked so cool on the website and in the packet. However when i had it in my lip the end looked to big for my face, the cone peice needs to be made smaller. 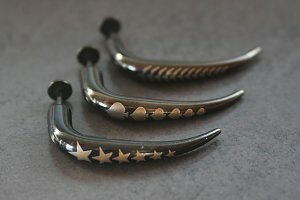 If it was smaller i would have bought alot more of these because they would be perfect!"